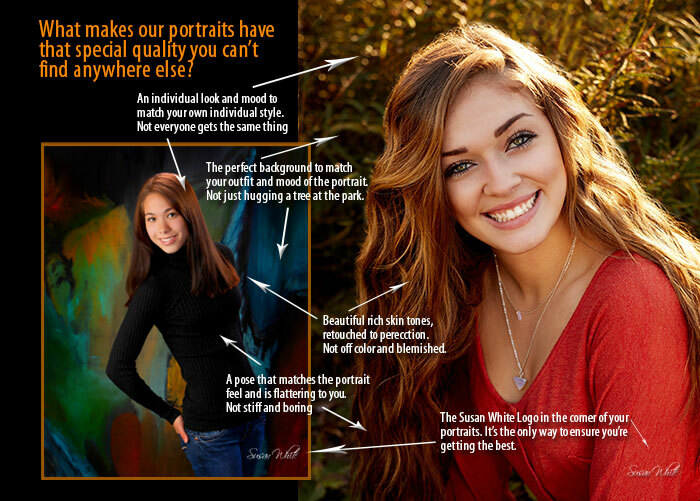 What you pay for your portraits is important. But what you get for what you pay is even more important. That’s what value is, and why you always get more than your money’s worth at Photography by Susan White. We understand that price is sometimes a deciding factor when choosing a photography studio. 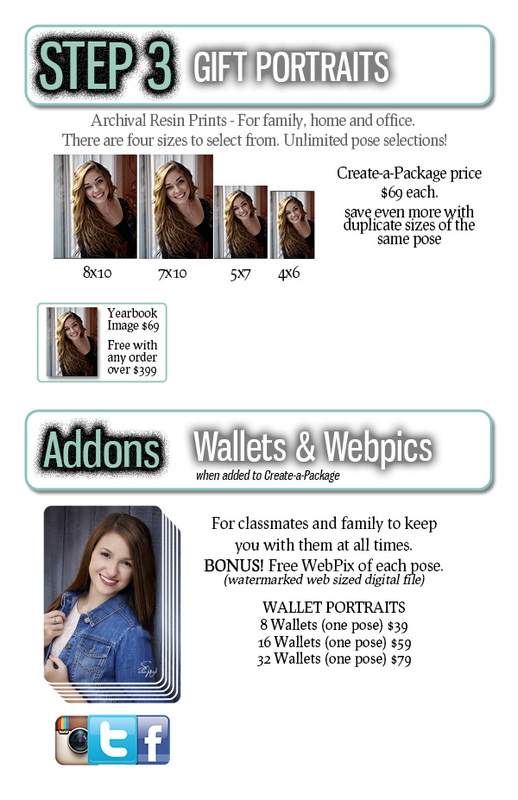 Keep in mind that your senior portraits are the most important images you will have taken. 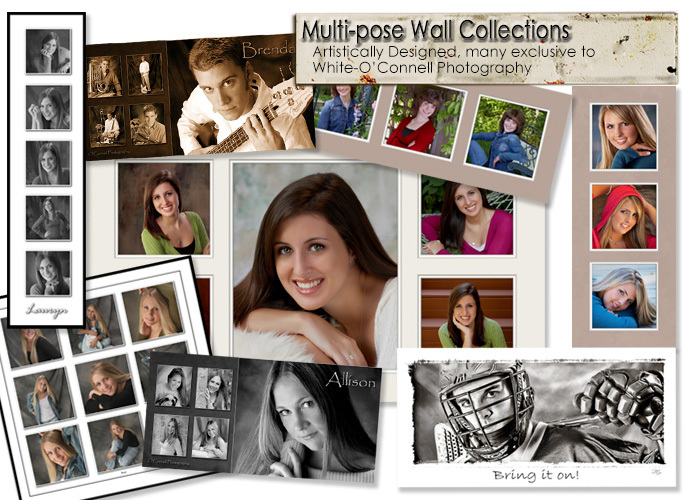 The importance of these images should not be placed in the person with the cheapest prices. Instead, you should look at many factors such as, creativity, quality, and variety to name a few. 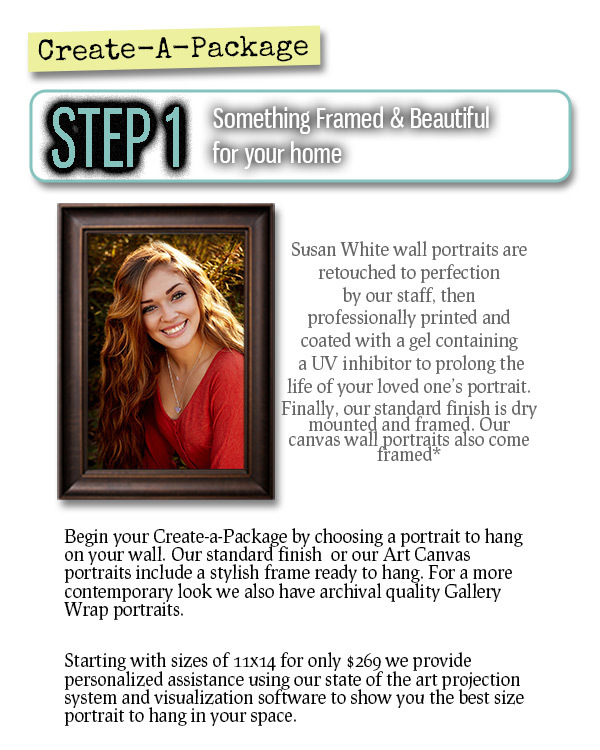 At Photography by Susan White we take great pride in making sure your senior portraits are ones you will be proud to display in your home and share with your friends. We are professional photographers on the edge of cutting technology and the newstand latest techniques in digital imaging. We pride ourselves on making sure you look the best you can look for your senior portraits. Due to the size of our price book, Susan does not publish the full price catalog here on the website. If you would like additional information on pricing, please call the studio at 781-826-8189 and schedule a time to tour our facilities. We will provide you with pricing at that time. 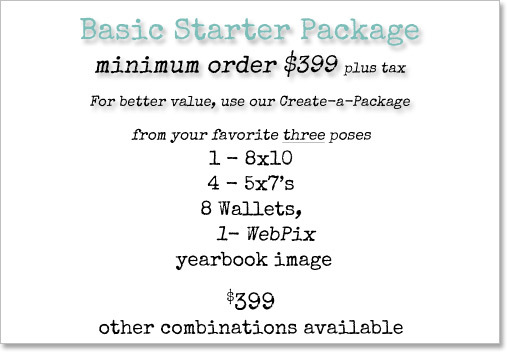 But with a minimum order of only $399 plus your session fee and sales tax, we can fit any budget. Here is just a sampling of the many combinations available. Pricing is your choice between individual prints, starting at $89 or our Create-a-Package which gives you much greater value and diversity. With the Create-a-Package, you build your own package. This gives you the best value and variety as it is custom tailored to your needs. Use as many poses as you like, simply choose at least one item from three separate steps. 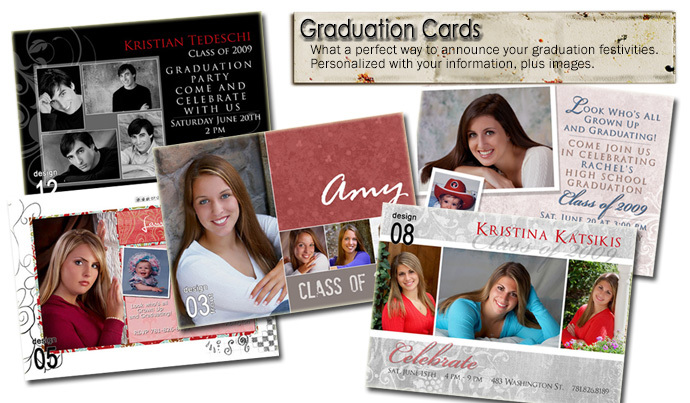 You can expand your Create-a-Package or Individual Sizes to your hearts content. 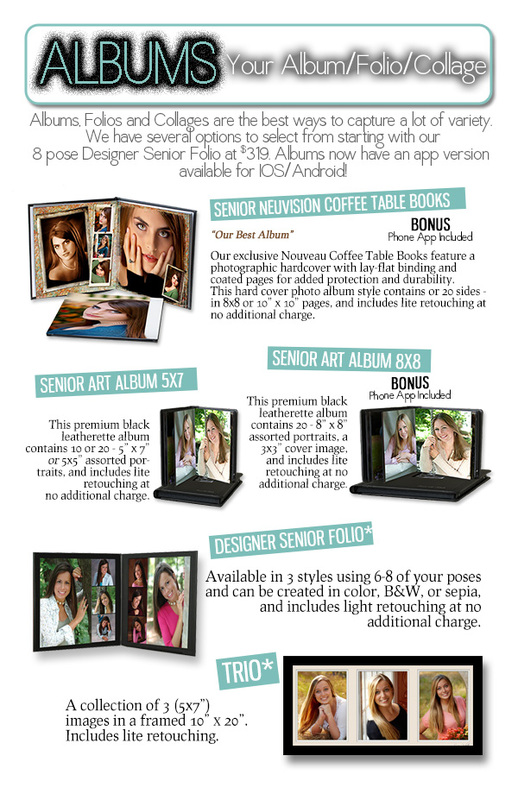 We can show you the many Folio Designs to compliment your portraits. 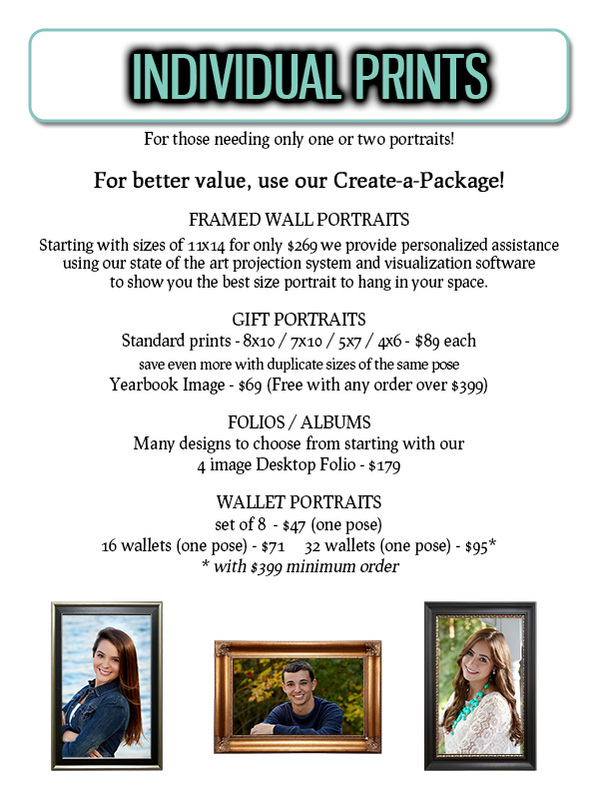 Upgrade your wall portrait to Framed Canvas or even a Archival Canvas Wrap! 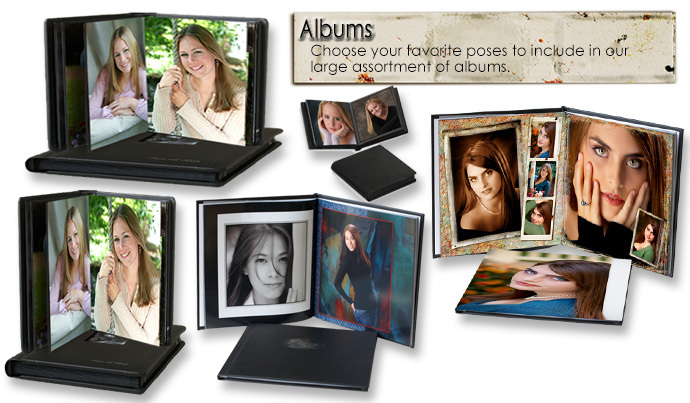 We're so sure that you'll find it hard to decide what your favorite poses are that we offer designer senior albums in a variety of sizes, quantities and styles. 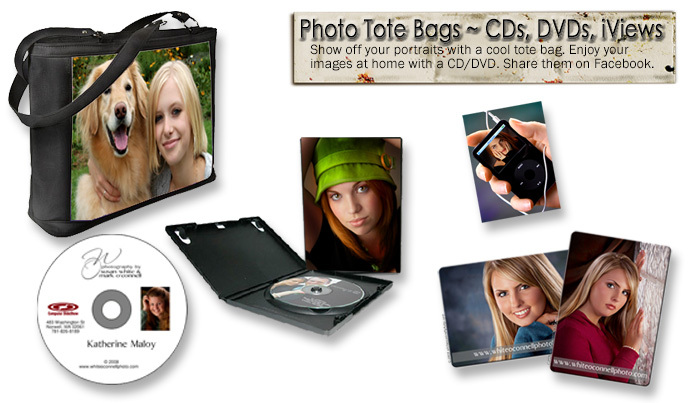 From slide show dvds to pocketbooks, we have something to fit everyone's taste! All of our portraits include enhanced retouching and finishing to really bring out the beauty of your portrait. Most amateurs and even many studios do not go to the extra, yet very important steps we take to ensure that your complexion is flawless, yet natural. Teeth are whitened, fly-away hairs are tamed, skin tones are rich, not off color and blemished. After our on-staff retouchers painstakingly edit each pose you selected, they are personally checked by Susan and her keen eye for detail. Once they pass inspection we carefully fulfill your order request through our professional color lab where color is tweaked, density is calibrated, and each image is custom printed to close tolerences. Once back in our hands we review everything to make sure they pass our inspection. Then, and only then are all your wall and gift portraits bonded to artist board, or canvas if so desired. We are the only ones in our area that take these extra steps to finish our work. We never just deliver you loose prints in a bag! Our pride and over 30 years in the business has shown us that we continue to grow by serving our clientele with only the best of materials and workmanship the industry has to offer. The choice you make right now is very important. Ten years from now, you probably won’t remember your photographer’s name, or what day of the week your session was on, or even how much you paid for your photographs. But you will still have your photographs to look at, as a daily reminder of some of the best days of your life. The choice you make for your photographer today will determine whether you smile or cringe when you look at your portraits for the rest of your life. Make the right choice. Choose Photography by Susan White.